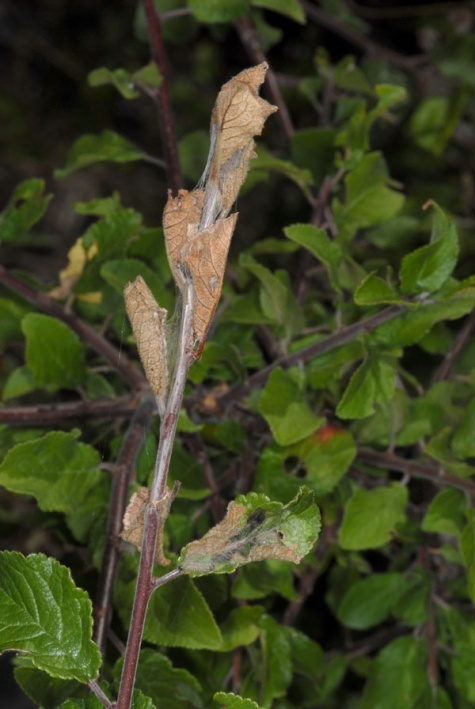 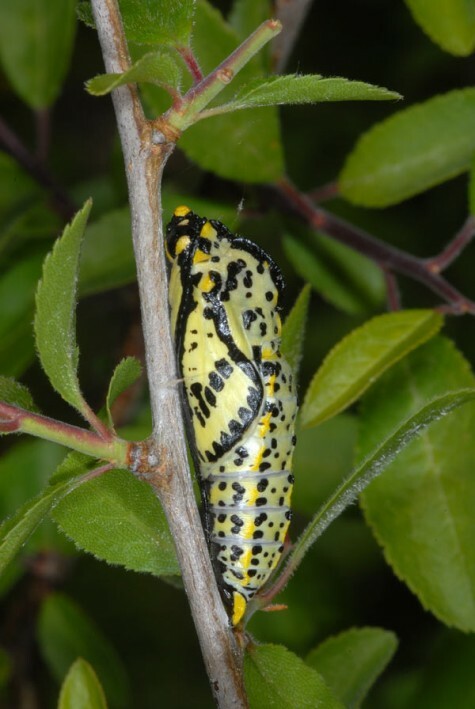 The larvae feed on Rosaceae such as Prunus, Pyrus and especially Crataegus. 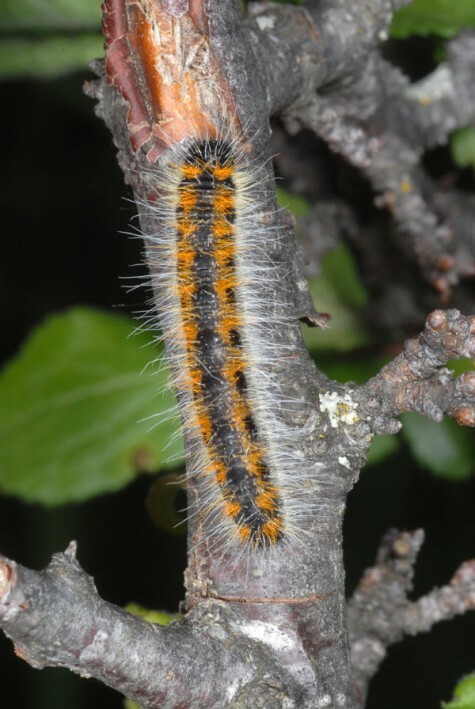 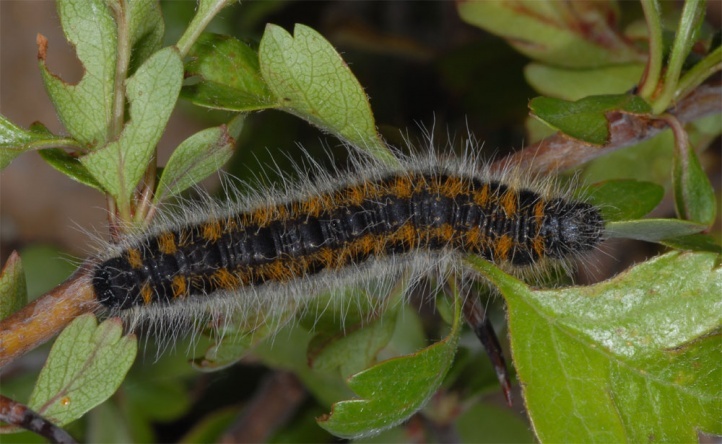 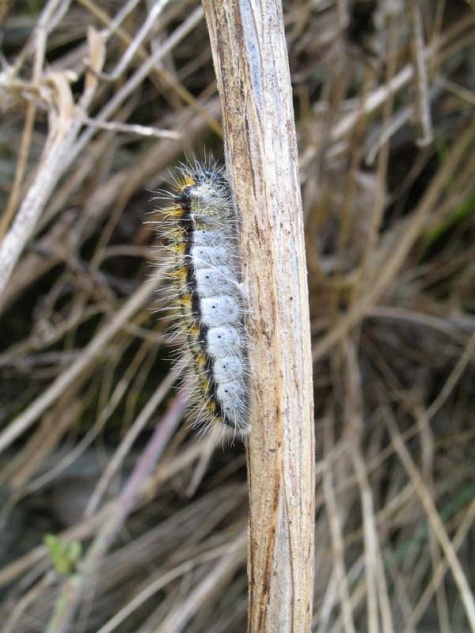 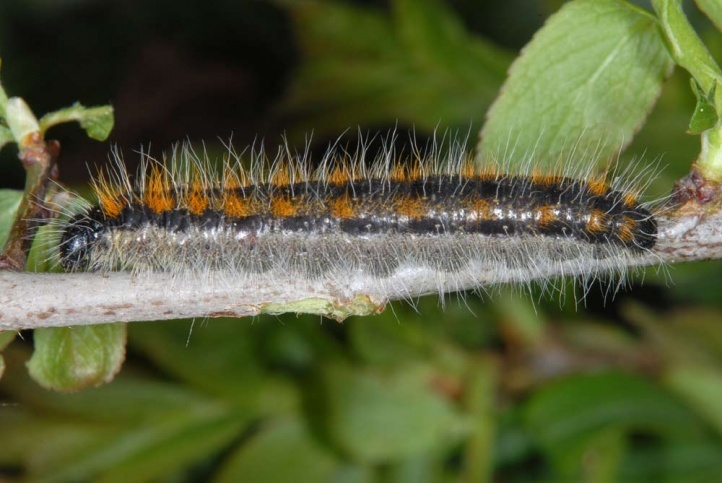 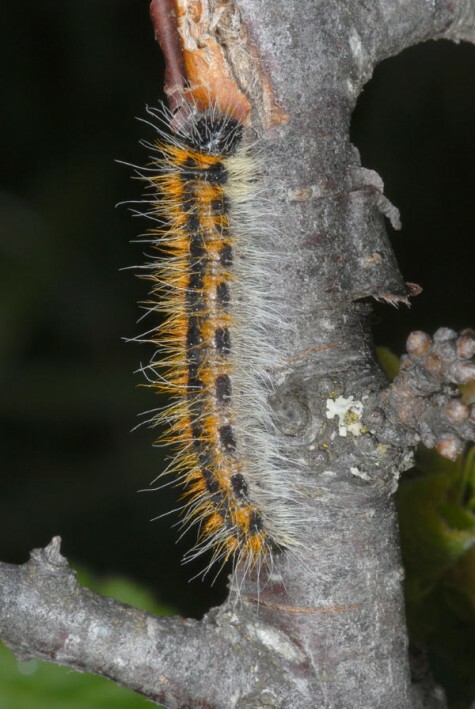 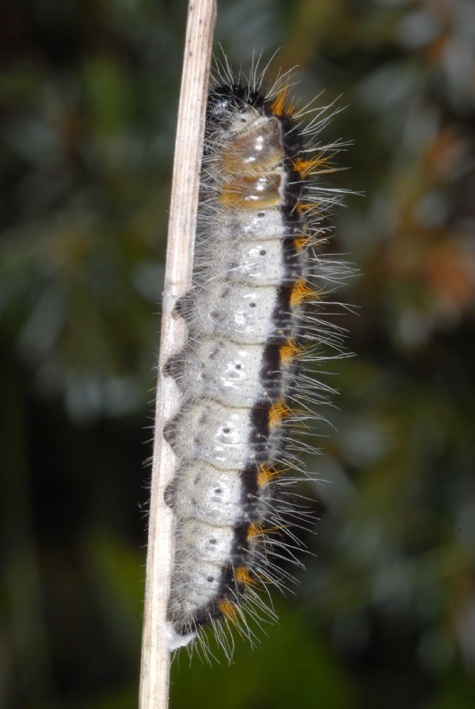 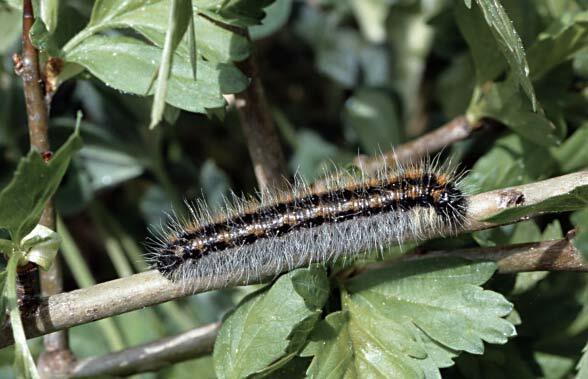 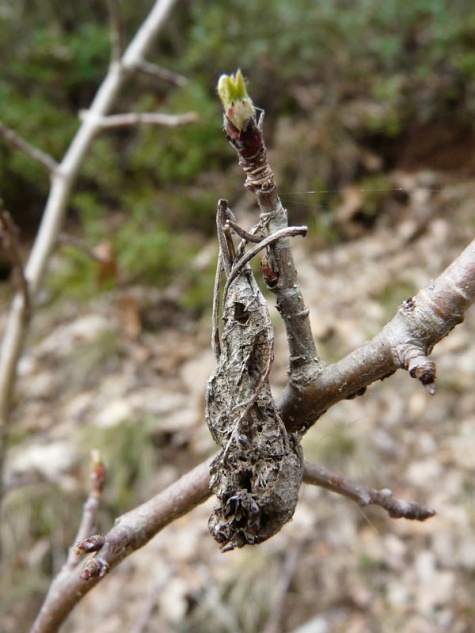 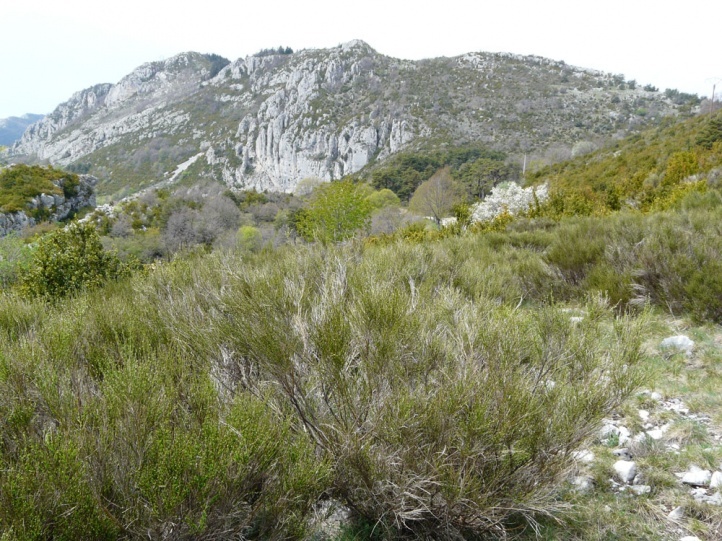 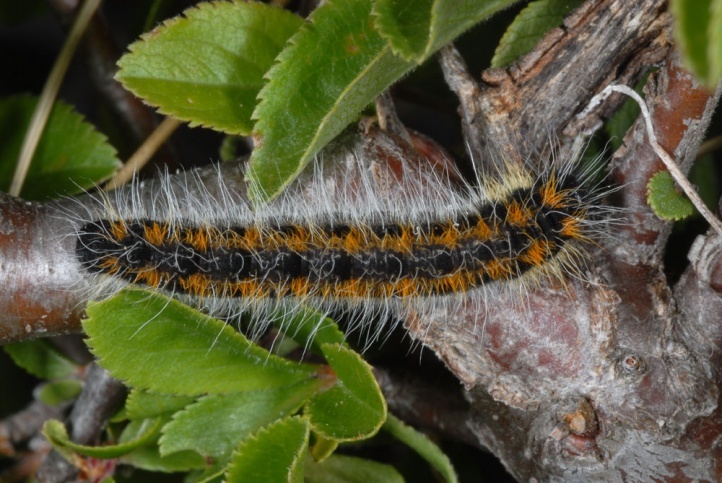 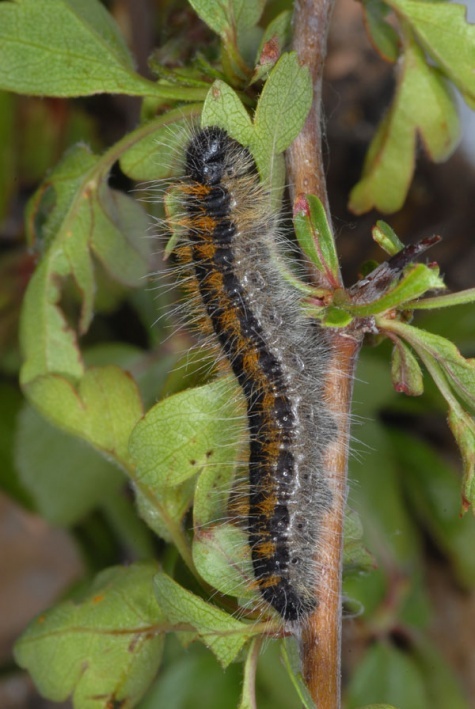 In the Alps and the northern foreland, the caterpillars live mostly on Sorbus aucuparia in clearcuttings etc..
Aporia crataegi colonizes clearcuttings and clearings in forests, bushy grasslands, shrub-rich rocky slopes, hedge areas and locally also highway side green. 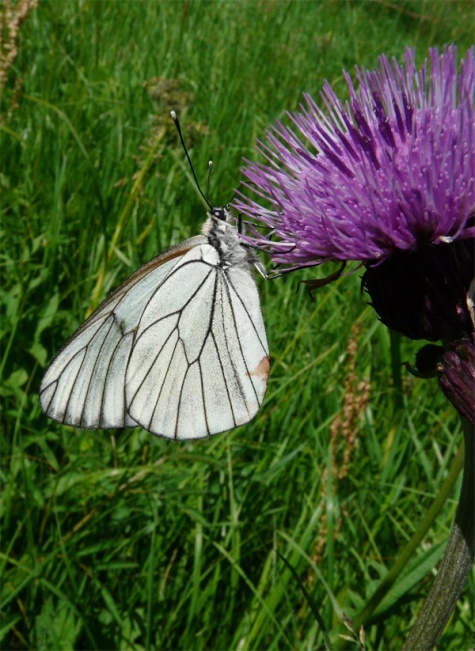 On the one hand the moth occurs in warm and dry places, but on the other hand also in cool-moist montane forests, such as in the northern Alps. 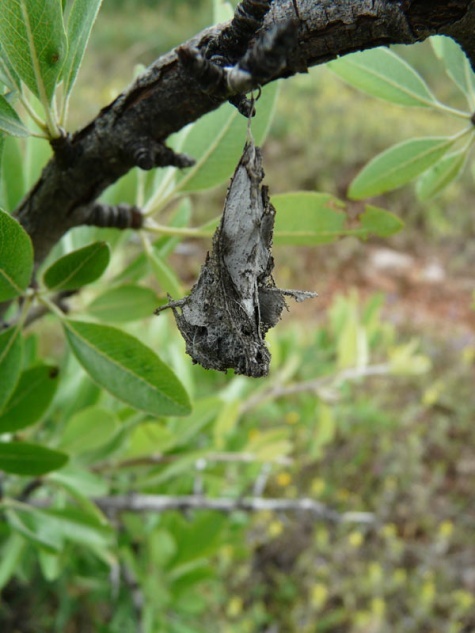 The moths fly in one generation in June/July, rarely already in late May (in Southern Europe more often already in early or mid-May). 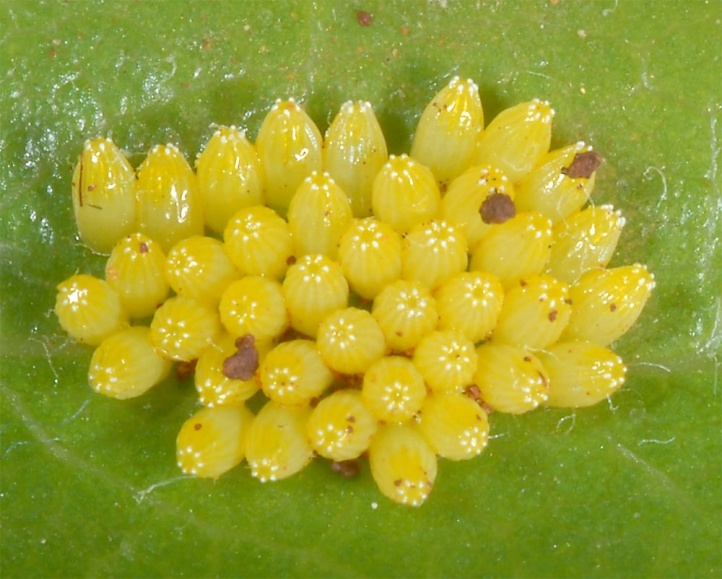 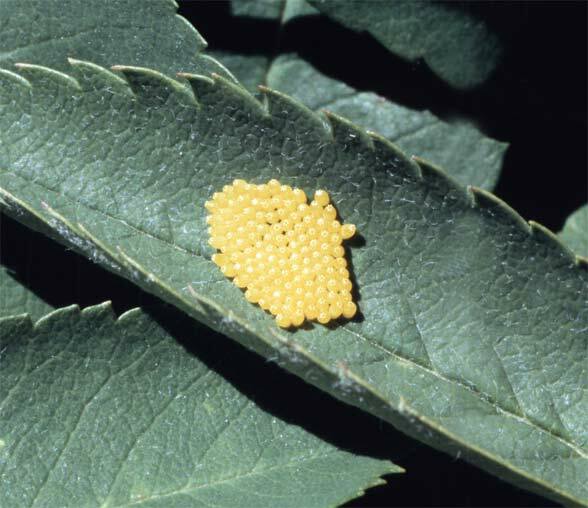 Eggs are laid on the leaf upper side densely packed. 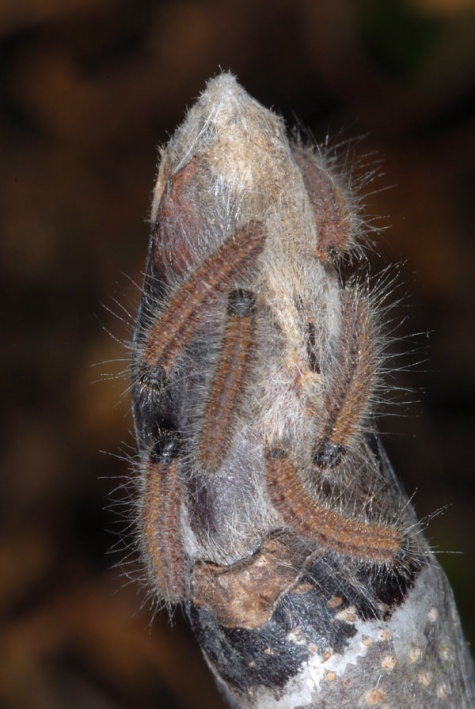 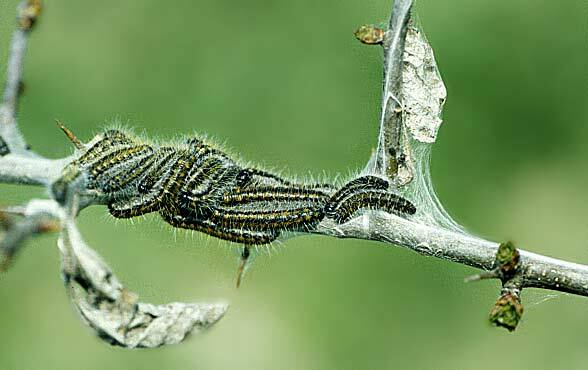 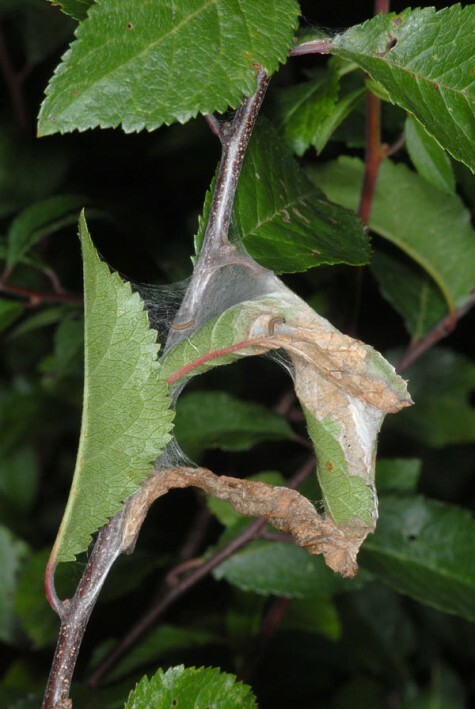 The young caterpillars live in a webbed shelter and overwinter as L3 together in groups in spun leaves. 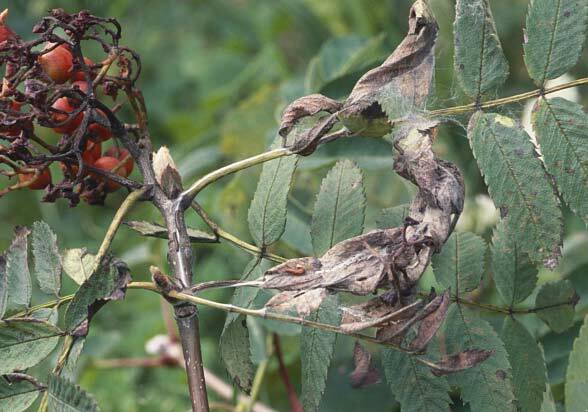 These will also be spun to the branch so they do not fall to the ground in autumn, and are thus easily detected in winter. 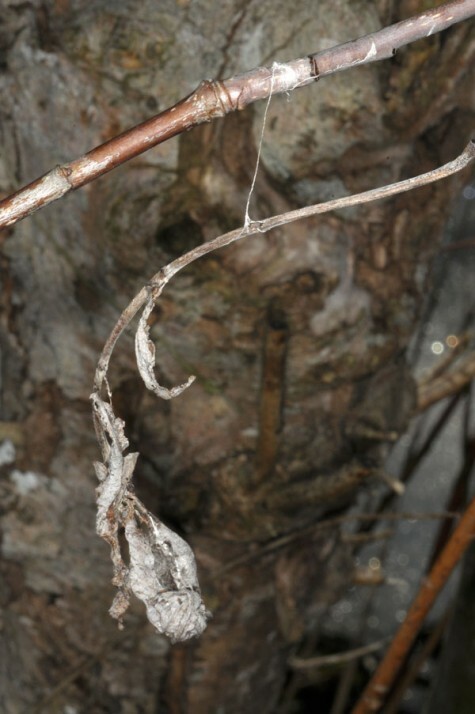 Thereby a kind of white rope is made, in which the dry leaves with the larval shelters then dangle in winter. 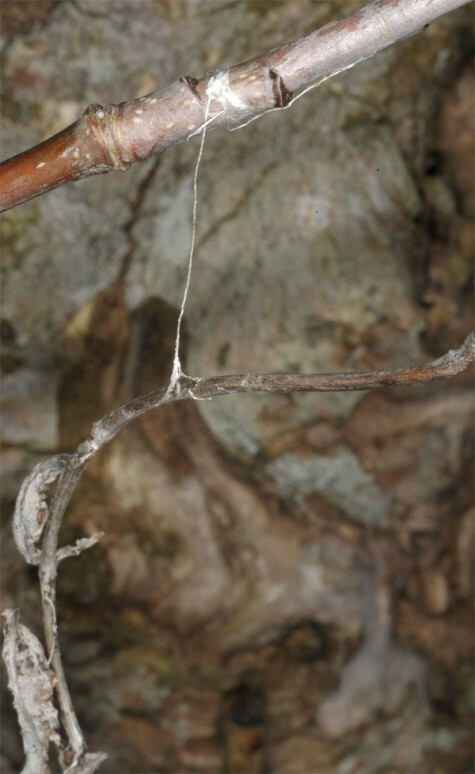 The rope or ropes are rather short with small-leaved plants (Crataegus) and long with species which have feathered leaves such as mountain ash (Sorbus aucuparia, to several centimeters). 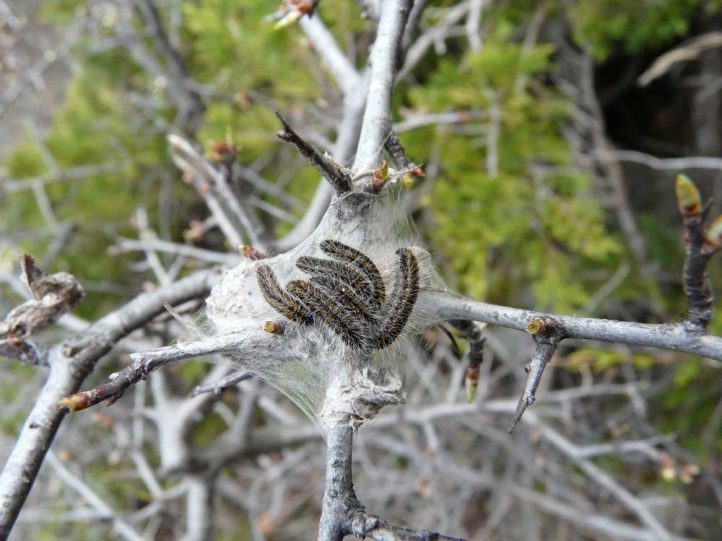 The caterpillars come out and sunbath on warm days in the very first spring. 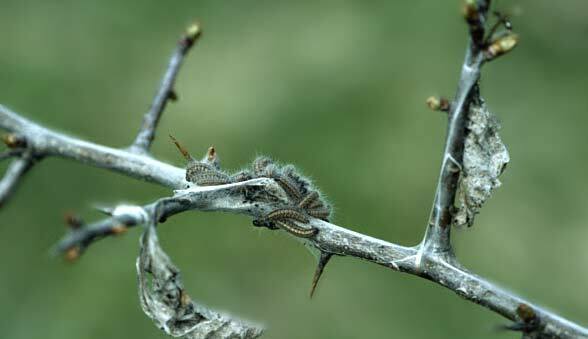 Once the buds sprout, they start feeding and show a very rapid development. 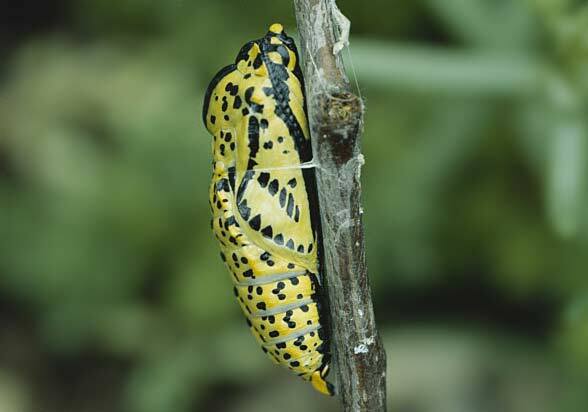 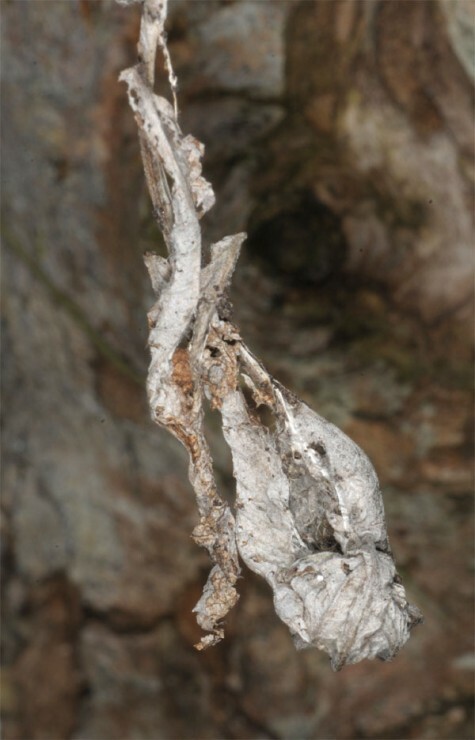 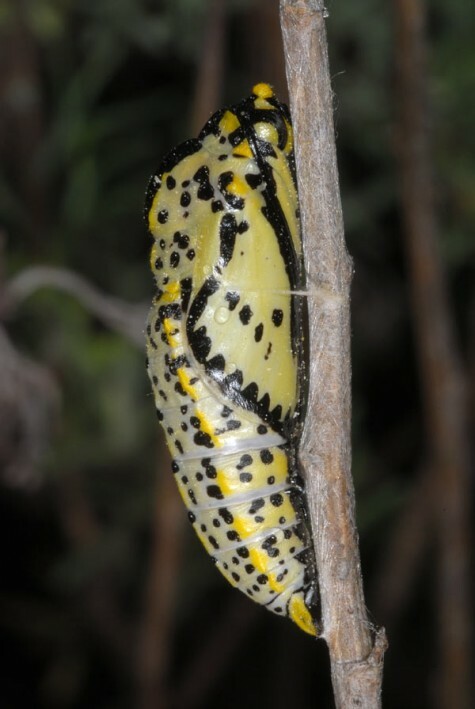 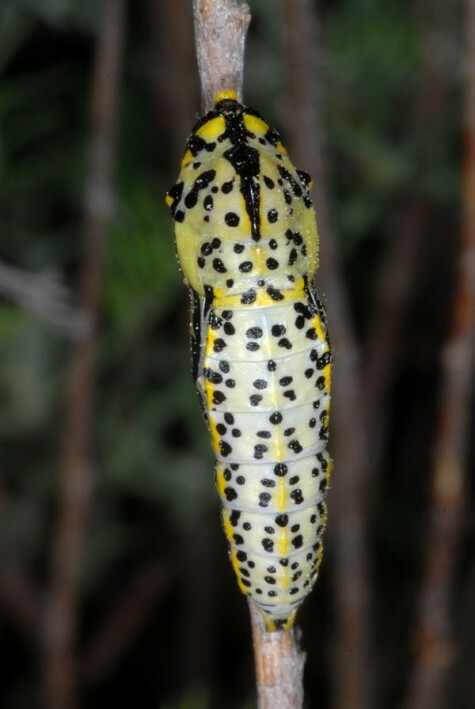 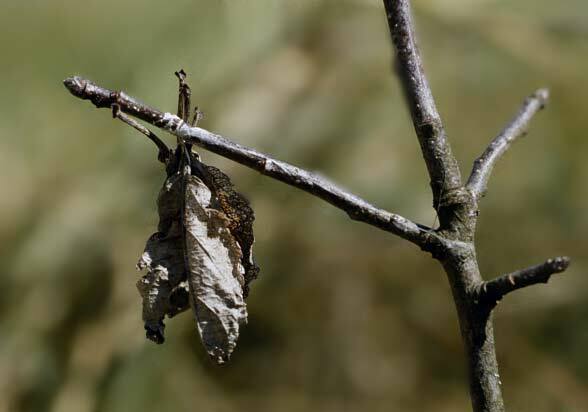 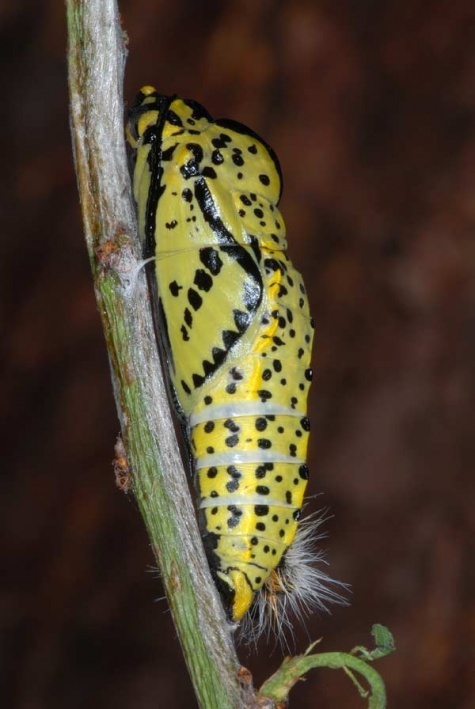 The pupae are often attached to trunks and branches of the host plant. 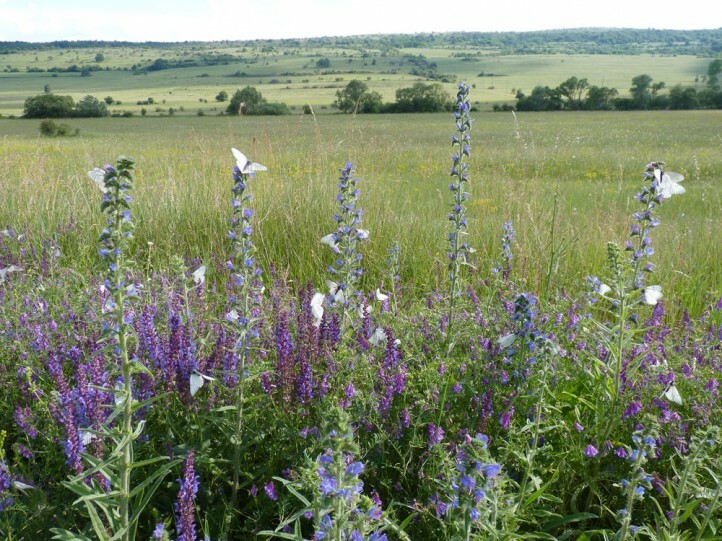 Flight time differences are caused for example by the different sprouting time of the host plant species. 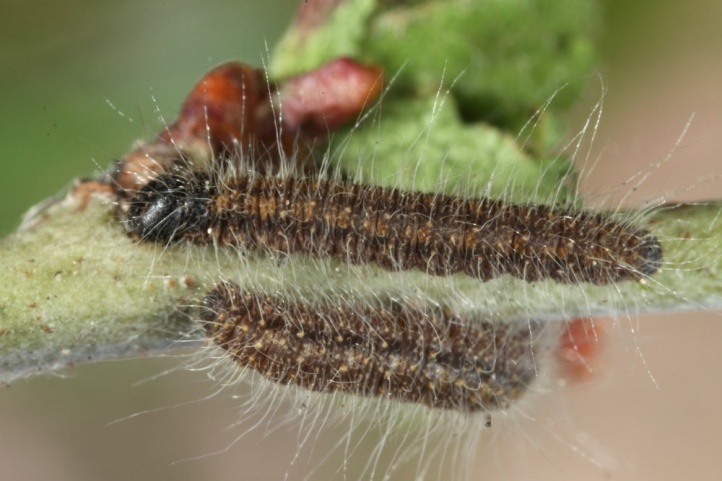 I observed already quite large larvae on Crataegus, while at the same location on later sprouting Malus sylvestris still only small caterpillars were seen (southern Germany). 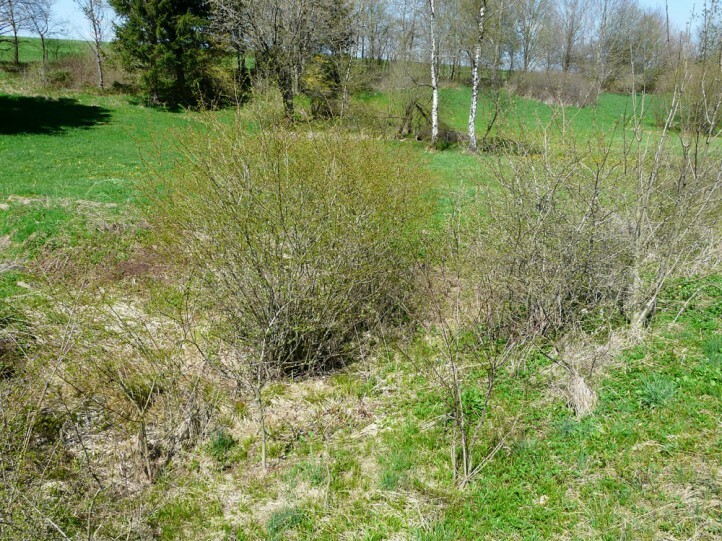 Endangerment factors are mainly the removal of shrub and hedges due to agricultural intensification, overbuilding or forest management (dark forests, intensive removal of unwished groves). 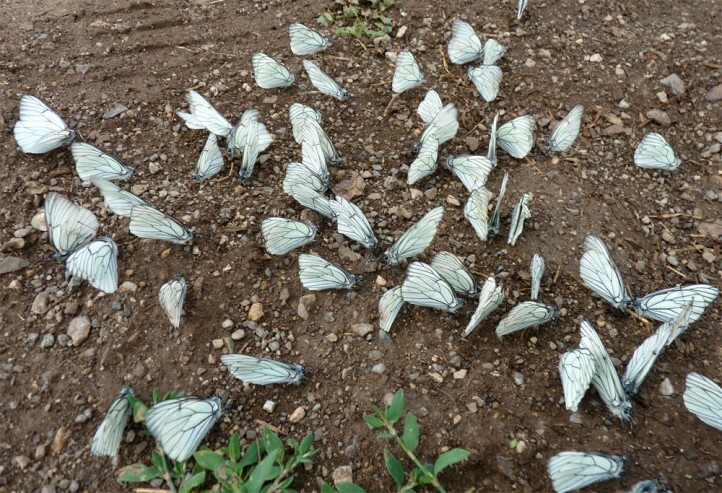 Aporia crataegi has pronounced fluctuations in abundance. 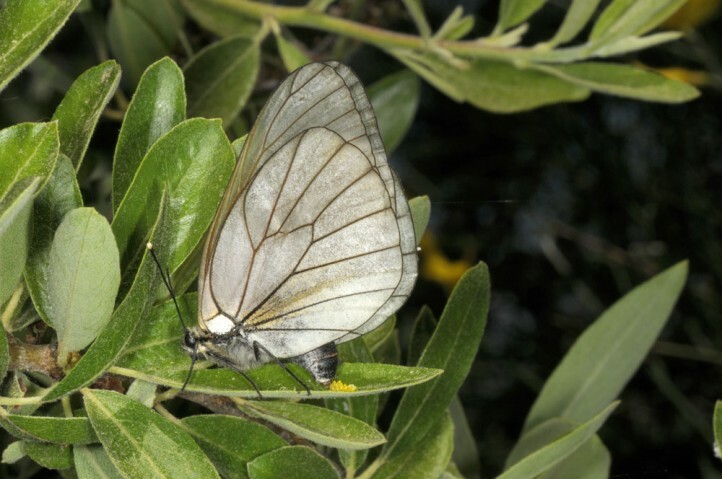 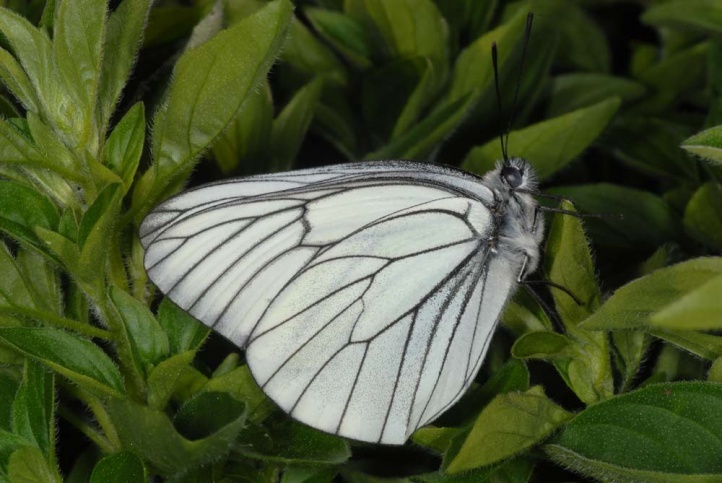 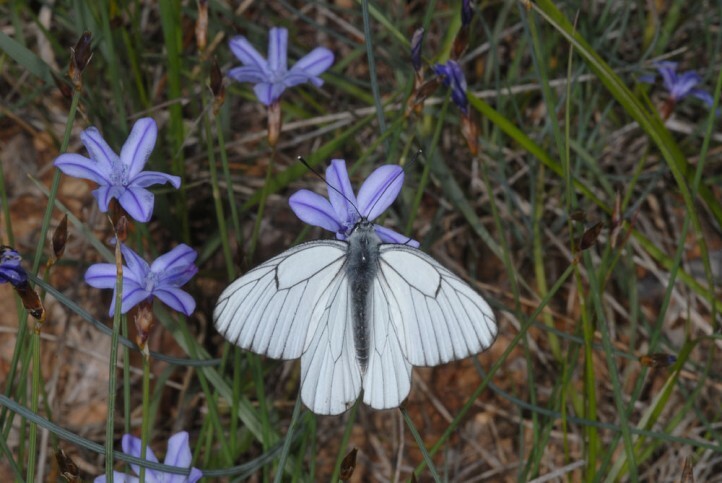 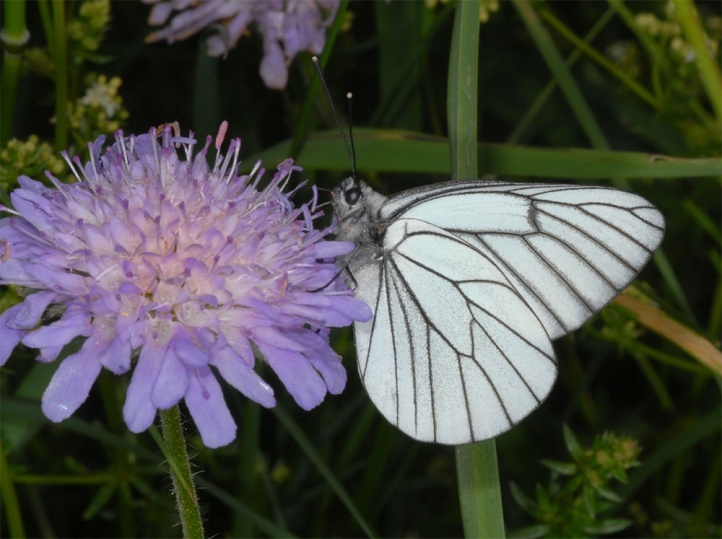 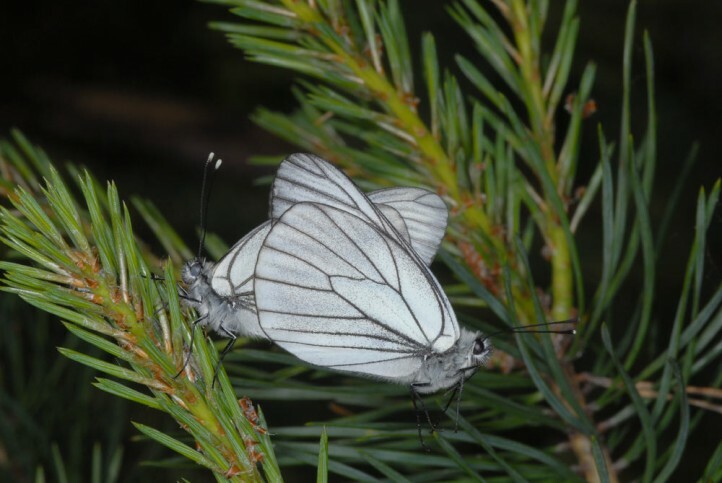 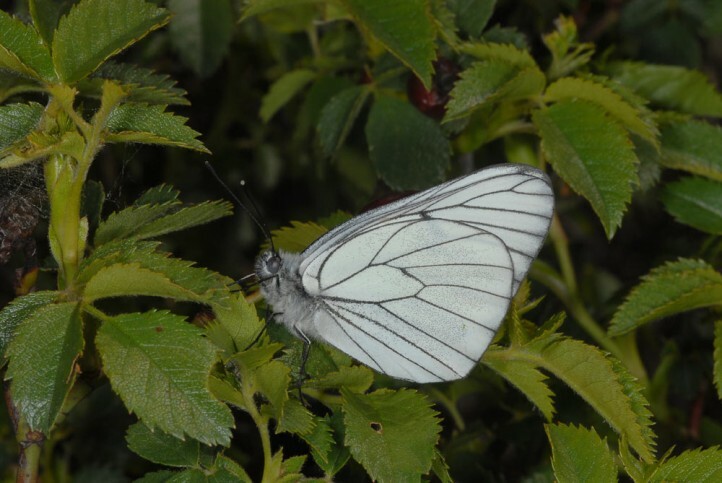 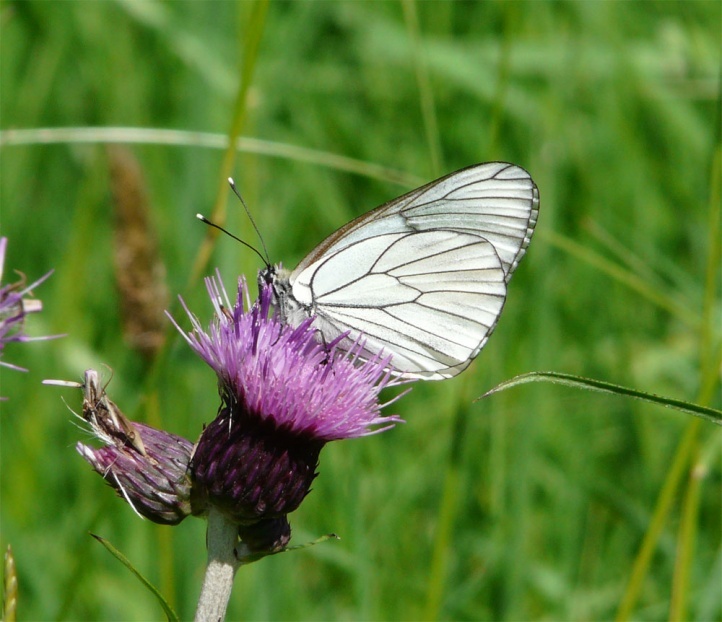 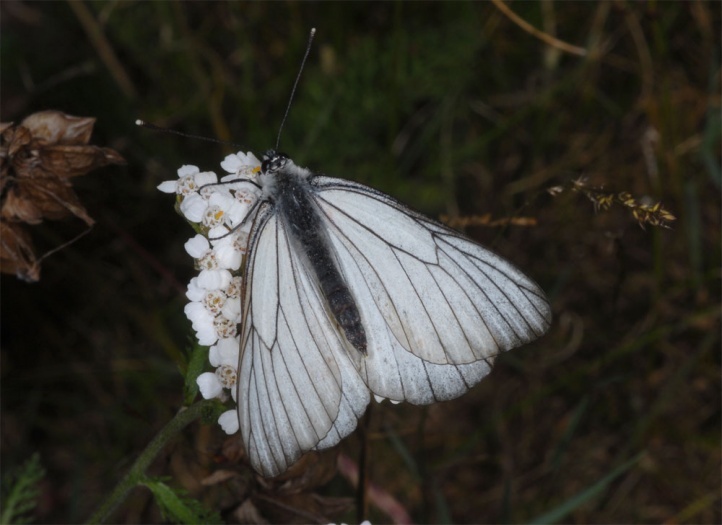 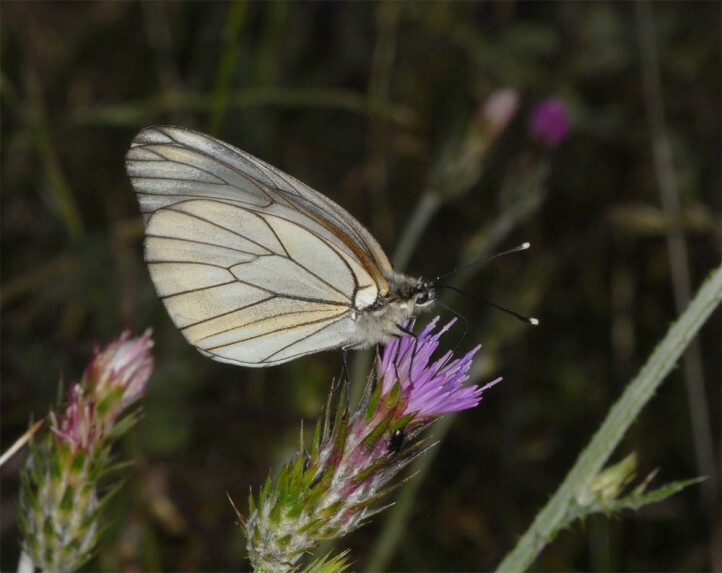 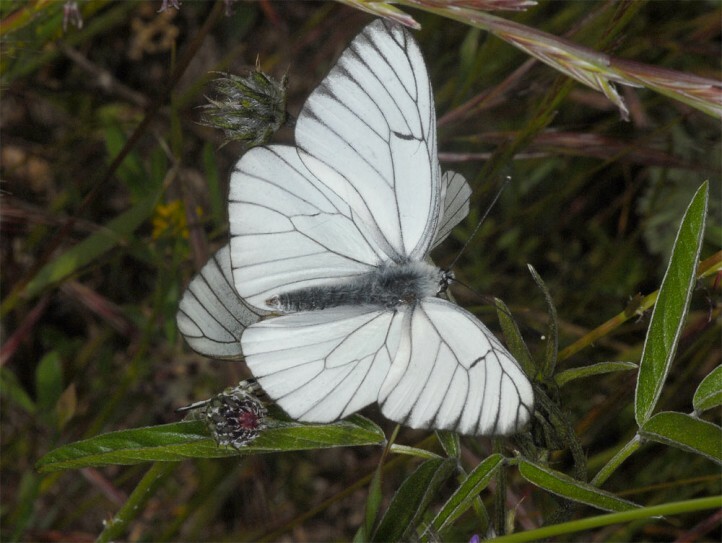 The butterfly had been very rare for a longer time north of the Alps and has been spreading in recent decades. 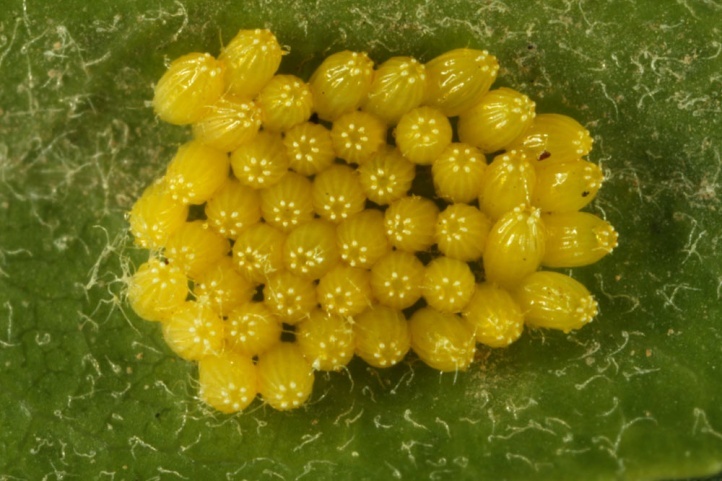 Constant populations are e.g. 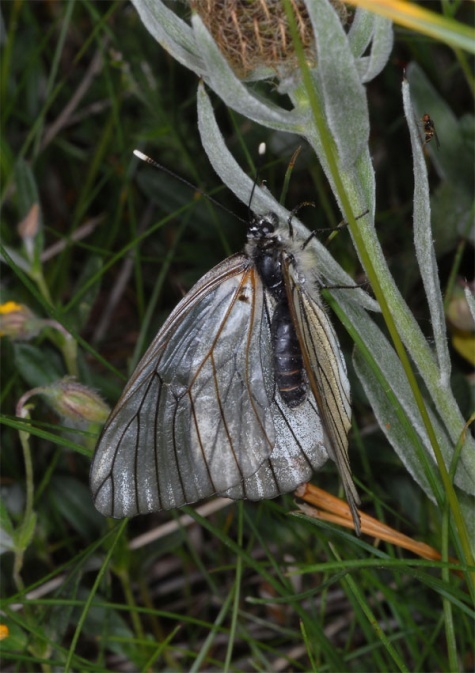 found around the edge of the Alps and in the Alps themselves where this species is one of the commonly found butterflies. 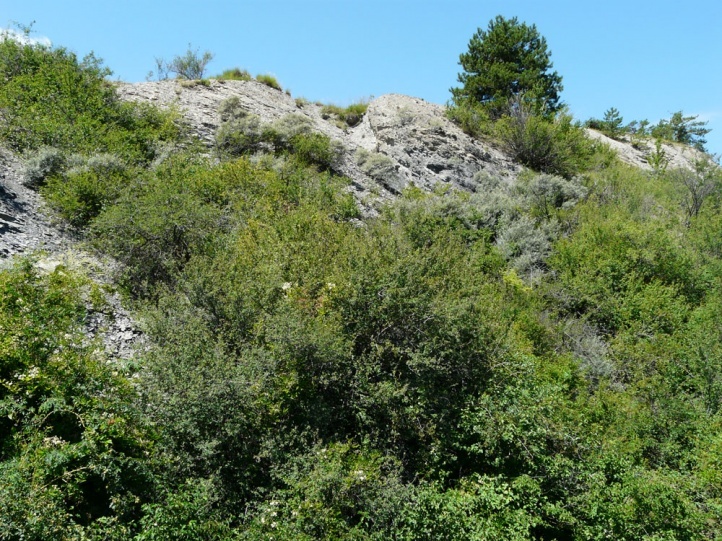 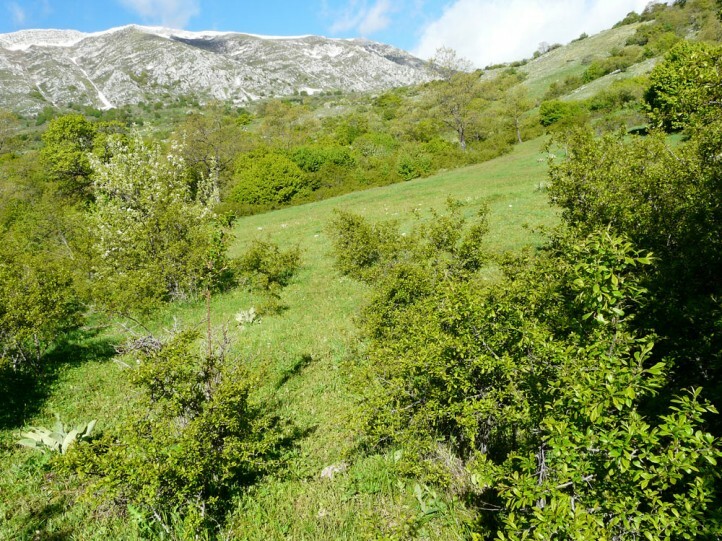 Aporia crataegi has become much more common and widespread in the northern foreland of the Alps at about Memmingen since the hurricanes in the early 90s, as large clearcuts with Sorbus aucuparia arose. 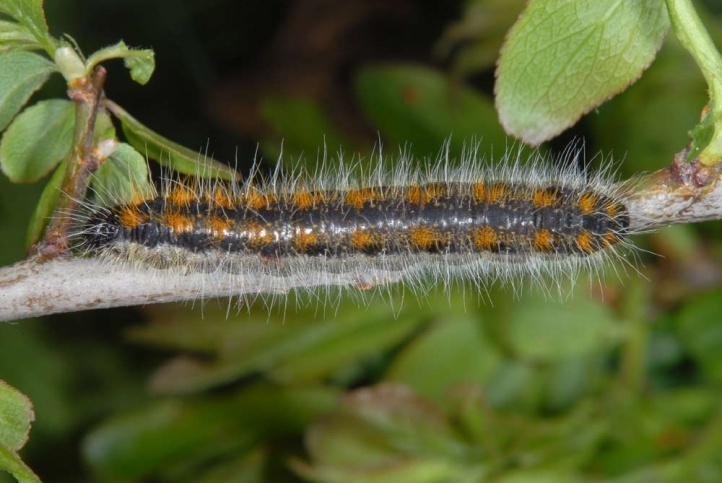 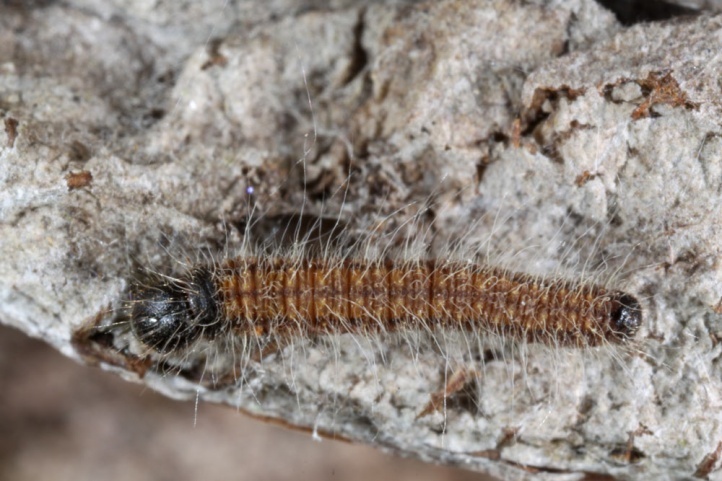 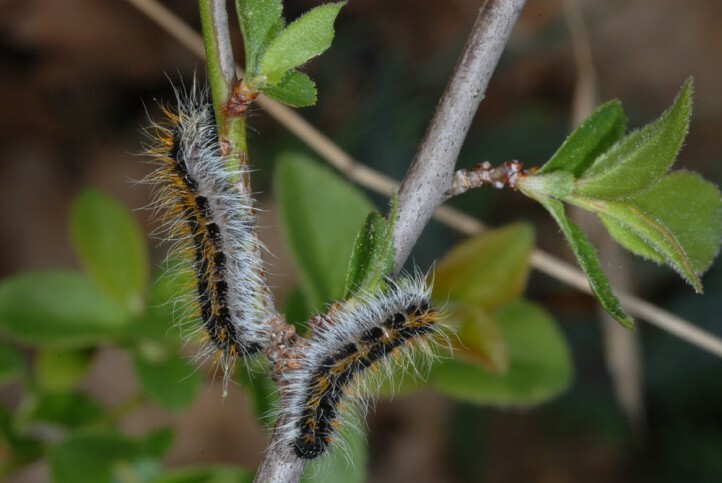 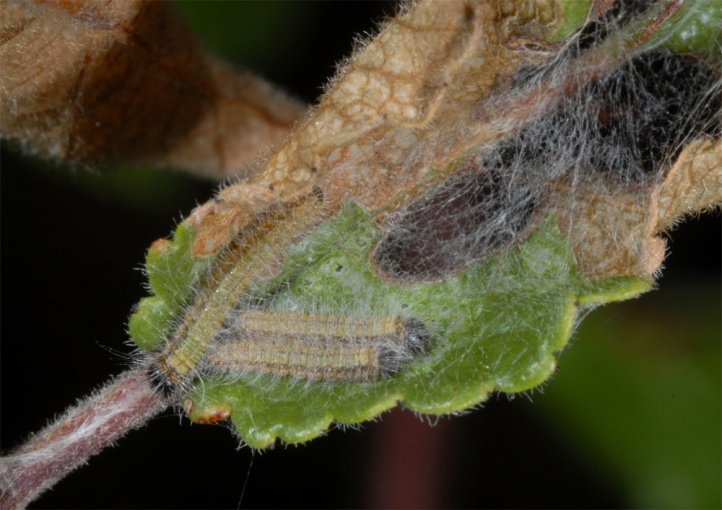 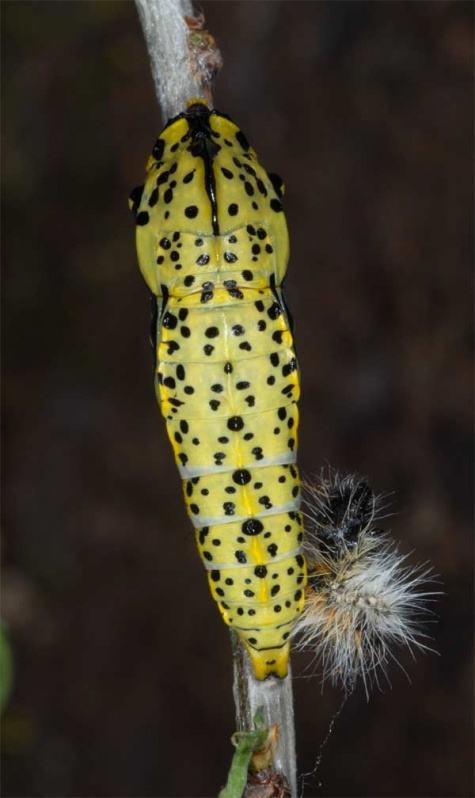 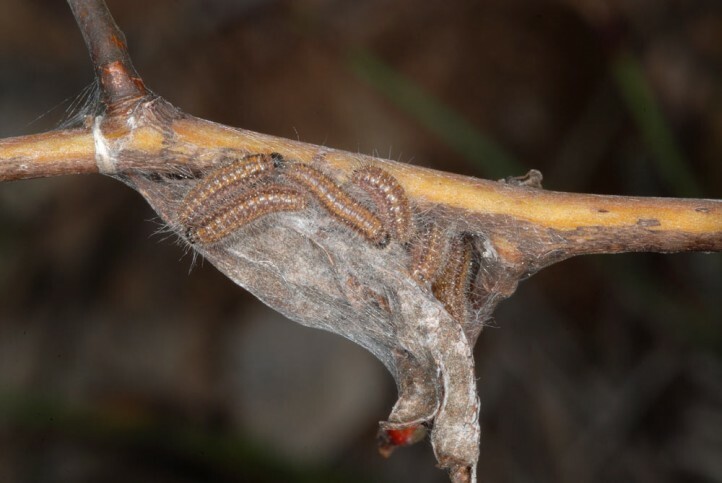 It is now, however, again sparse because of the overgrowth of the clearings and the removal of the economically worthless host plants, though still widely scattered caterpillar nests were observed in 2004. 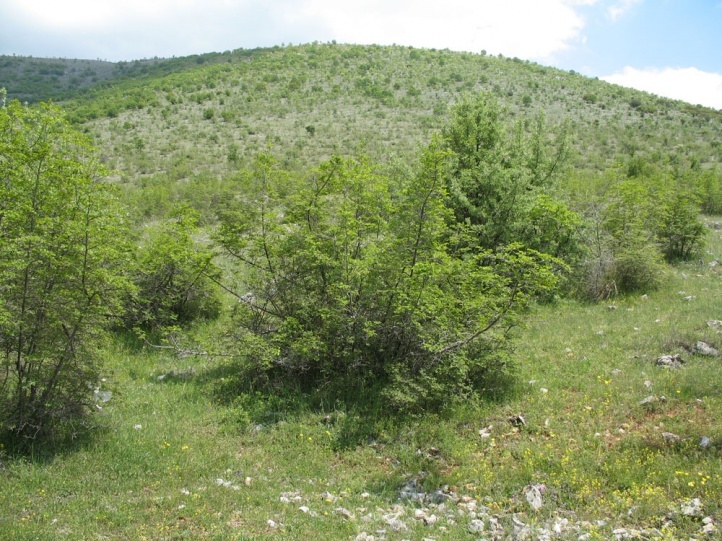 So-called natural forest management with single tree selection system would be extremely negative for this species. 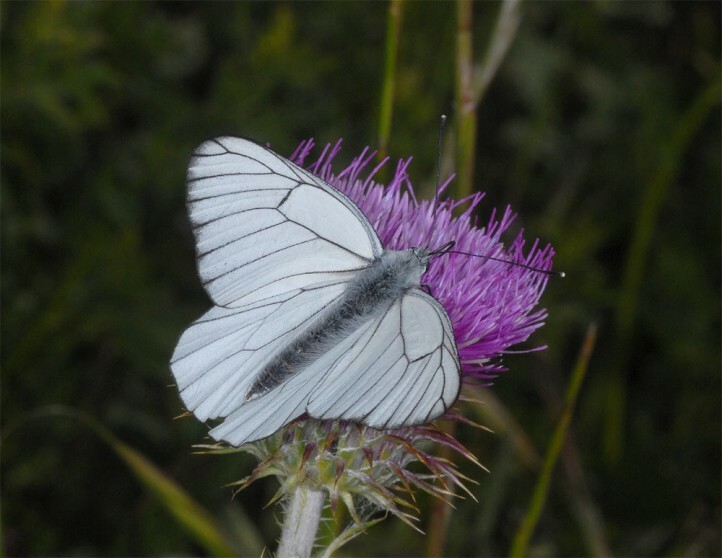 Aporia crataegi is still missing in many potential habitats that are probably too far isolated from existing populations such as the greater part of the Swabian Alb. 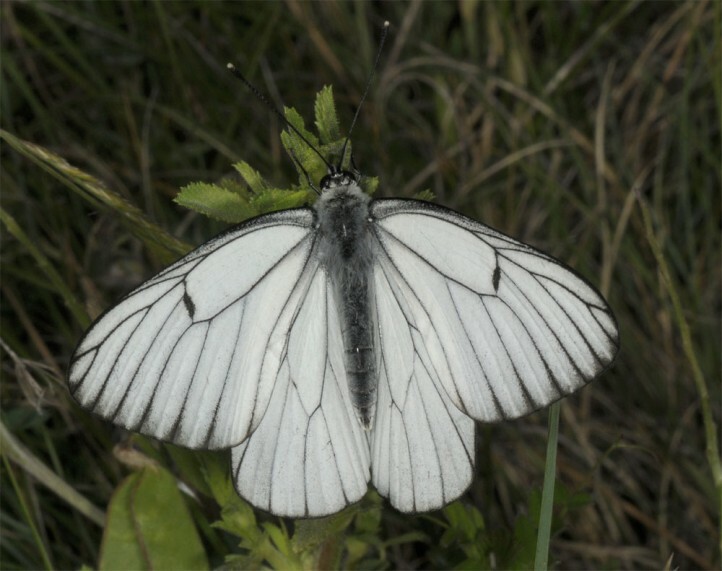 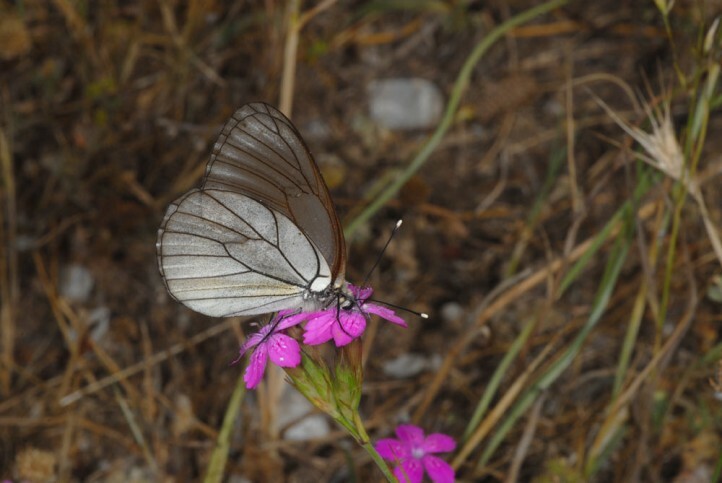 In Southern Europe and in the Alps, Aporia crataegi is usually fairly common, especially in low and middle elevations of the mountains up to 2100m above sea level (locally even higher). 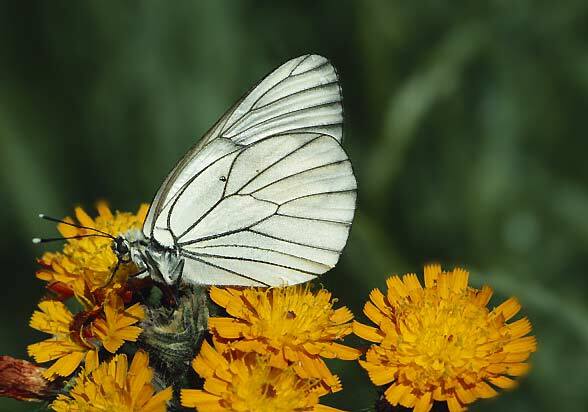 The distribution ranges from Northwest Africa across Europe and temperate Asia to Japan.